Hike or bike unlimited ancient Ute Indian trails to historical mines, hotels, and hidden high mountain lakes and beaver ponds. Photograph elk and summer snow capped peaks. Plan a drive over Independence Pass to Aspen only 35 miles away. Enjoy lunch at one of the local diners, or dine in with one of our Road-house daily dinner specials. 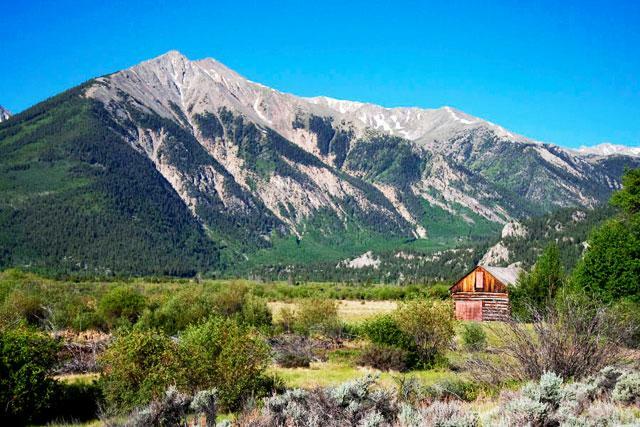 Take a scenic drive to Leadville or Buena Vista. Average summer day temperature 72. 35 miles to Aspen over Independence Pass. Hot Springs of Buena Vista. Leadville – worlds best Mexican food. Call (719) 486-9345 or email us at info@twinlakescolorado.com.